YU-GI-OH! 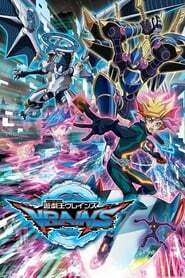 VRAINS Season 1 Episode 73 Den City is a city with advanced network systems in which a VR space called LINK VRAINS was created by SOL Technologies. The Knights of Hanoi, a group that hacks through dueling, as well as SOL Technologies are seeking a mysterious AI program. 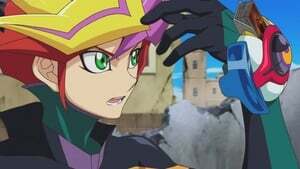 Yusaku Fujiki, also known as Playmaker, is a first year high school student who manages to capture this AI program while trying to find out the truth about an incident in the past.